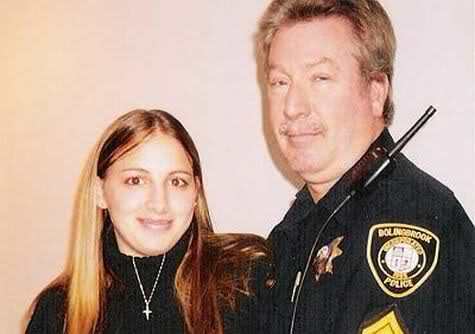 Drew Peterson was a policeman in Bolingbrook, Illinois from 1977-2007. He retired as a sergeant. In 1979, The Bolingbrook Police Department selected Peterson as Police Officer of the Year. Four women married Drew Peterson. Victoria Connolly married Drew in 1982. Ms. Connolly divorced Peterson after he started cheating on her with his third wife, Kathleen Savio. Kathleen Savio married Drew in 1992, two months after he left Connolly. Why did Kathleen marry an adulterer? Peterson’s third marriage produced two sons: Thomas and Kristopher. Peterson said, “I guess I should have returned those library books,” after his arrest for murdering Kathleen Savio in 2009. 49-year-old Peterson married his fourth wife, 19-year-old Stacy Ann Cales in 2003. Stacy Ann Peterson disappeared on October 28, 2007. The sister-in-law’s statement is hearsay, like the rest of the evidence against Drew Peterson. Stacy Peterson is still missing. Peterson’s stepbrother Thomas Morphey said he helped Drew Peterson move a heavy blue barrel on the day Stacy disappeared. Walter Martineck testified his friend Morphey told him about moving the barrel, and possibly Stacy’s body. Drew Peterson disposed of my sister’s body on the evening of October 28th, 2007, in the Sanitary and Shipping Canal, after having dropped off his step-brother. I have sonar images of her lifeless body on the bottom of the riverbed, which I will never release. That is not how I want the world to remember my beautiful sister. Former prosecutor Marcia Clark believed Cales. Clark included a “sonar image” on Drew Peterson, an episode of Marcia Clark Investigates The First 48. If you believe Cassandra Cales, send a donation to her search project. Marcia Clark said the blue barrel is the strongest piece of evidence against Drew Peterson. I disagree with Ms. Clark. Why would an experienced policeman commit such a suspicious act with a helper, who might discuss it with detectives? What Happened to Kathleen Savio? “At first, it was very romantic. After she had children, the hormones kicked in, and again an emotional roller coaster with her,” said Peterson. Police visited her 18 times for domestic disturbance calls. However, Peterson was never charged with a crime. Police arrested Savio for domestic battery twice, but she was never convicted. Why did Kathleen stay with Drew, if he threatened to kill her? In 2001, Savio found an anonymous note in her mailbox. The note claimed Drew and 17-year-old Stacy Ann Cales were sleeping together. The note warned Savio: “Protect yourself and your family.” Kathleen filed for divorce after receiving the note. Despite the threats, she did not move. Alas, she waited too long. Kathleen Savio was found dead in a bathtub. Savio had wet hair, although the bathtub was dry. Coroner recorded her death as an accidental drowning. How Did Kathleen Savio Drown? One of the jurors on the Coroners’ Jury was a police officer from another agency. The juror knew defendant Peterson, and during deliberations this police officer assured the other jurors that he knew defendant Peterson, and Peterson would never harm his ex-wife. 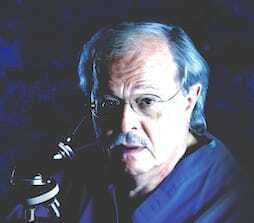 On November 16, 2007, Baden allowed FOX News to film Savio’s third autopsy. 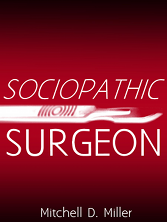 Baden discussed the upcoming autopsy on FOX TV with Greta Van Susteren, one day before he examined Kathleen Savio. FOX TV also recorded Baden’s autopsy. 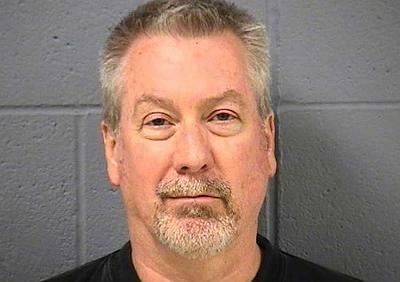 Police arrested Drew Peterson in March 2008 for first degree murder. If Peterson, a policeman for 30 years, killed Kathleen, why wasn’t she cremated after the first autopsy? Drew Peterson, like murderer Scott Peterson was an inveterate womanizer. A married Peterson once took a teenager on vacation to Mexico. Unlike Forensic Files on TV, where detectives analyze physical evidence to find killers, there was no physical evidence against Drew Peterson. This is not the time for argument; it’s time for an overview. This is not a case where you’ll have DNA, fingerprints or a videotaped confession. When you’ve heard all the evidence, you’ll be able to determine that Drew Peterson killed Kathleen Savio beyond a reasonable doubt. Schori’s testimony was “hearsay,” unverified information received from another person outside the court. Harry Smith was Kathleen’s potential divorce attorney. Stacy Peterson contacted him about a divorce, before she disappeared. When she was menstruating, hungry or tired, she was agitated, and she would ask me for a divorce on a monthly basis. Then, when the cycle passed she was OK. We were in love again and happy. Outside the courtroom, prosecutor James Glasgow said, “It’s a gift from God,” after Smith’s testimony. Where Were the Other Witnesses? Illinois passed Drew’s Law in 2008, to allow testimony from witnesses who were probably murdered by the defendant to prevent them from testifying. It’s unconstitutional and also a violation of an ex post facto. A law that’s passed in 2008 cannot affect the prosecution of an alleged crime that took place in 2004. The court did not need Drew’s Law to allow hearsay testimony from dead witnesses. Courts use “forfeiture by wrongdoing’ after witnesses are murdered. A defendant committed “forfeiture by wrongdoing,” if they murdered a witness. The defendant loses the protection of hearsay rules from their crime. How can you know if a defendant murdered witnesses without a trial? For the last couple of years the Illinois State Police in conjunction with the Will County state’s attorney’s office has conducted the most extensive, expensive and obsessive investigation probably known in the United States. They harassed every family member, friend, friend of friends, neighbor, fellow employee, love interest I have ever had. No usable evidence was ever found. What they did uncover was rumors, gossip, outrageous lies, and most importantly unreliable hearsay. Did Peterson Want to Murder the Prosecutor? On February 9, 2015, Peterson was charged with solicitation of murder and solicitation of murder for hire. Judge Richard Brown sentenced Peterson to 40 years for the crimes on July 29, 2016. Antonio “Beast” Brown was the primary witness against Peterson. Brown secretly recorded conversations with Peterson, asking Antonion Brown to get his “Uncle” to kill prosecutor James Glasgow. Peterson said he provided Antonion Brown with false information, to help Brown get time removed from his sentence. You can listen to recordings of some of their conversations. Mr. Peterson asked Mr. Brown to join a Mexican cartel with him. Do you think he was serious? Peterson seems to know that Brown is recording their conversations. Additionally, Peterson expected to win his appeal, so he had no reason to murder Glasgow. Peterson said 16 witnesses wanted to testify that his murder plot was a joke. However, his lawyer did not call his witnesses. Peterson did not testify for the defense. Peterson was sentenced to an additional 40 years in prison for this travesty. Peterson appealed his sentence and the admission of hearsay testimony. However, his appeal was denied. Does Drew Peterson Deserve a New Trial? The biggest thing that bothers me is the misconception that Kathleen drowned in a dry tub. It’s impossible. As far as Stacy’s concerned, people do run away. It happens. This isn’t really as unusual as people might think. Watch Matt Lauer’s interview with Drew Peterson and attorney Joel Brodsky. Do you believe Drew Peterson?